We are into manufacturing, supplying and exporting a comprehensive range of Prefab Wall Panel that is durable and reliable in nature. We offer them in different sizes and thicknesses and can be customized as per the requirement of our clients. Moreover, we offer them at most affordable rates. 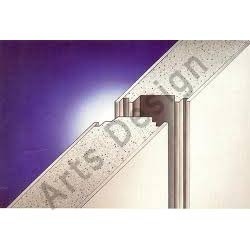 Owing to years of experience in the industry, we offer our clients quality assured range of Prefab Wall Panel that are manufactured using 2 fiber reinforced cement sheets on either sides of concrete core Portland Cement ,composition of binders and also from the mixture of siliceous and micaceous material when combined with unique tongue system and groove jointing. It helps in smoothing the surface and makes the area look elegant and creatively designed. It is a perfect substitute to different other partition systems and ensures hassle free and smooth constructions. These products are the perfect to replace gypsum board, brick wall, particle board, and plywood partitions. Looking for Prefab Wall Panel ?